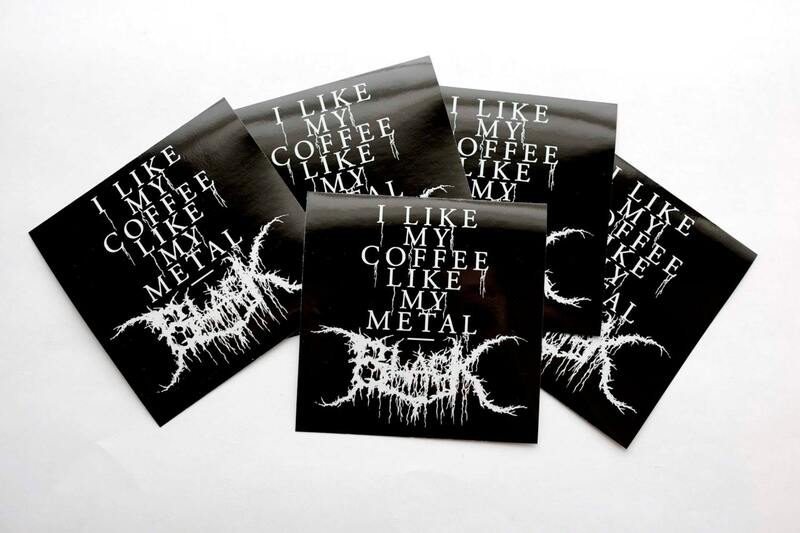 Sticker pack of the popular "Black Metal Coffee" mug and print. In this pack you get 5, 3.75" x 3.75" stickers. 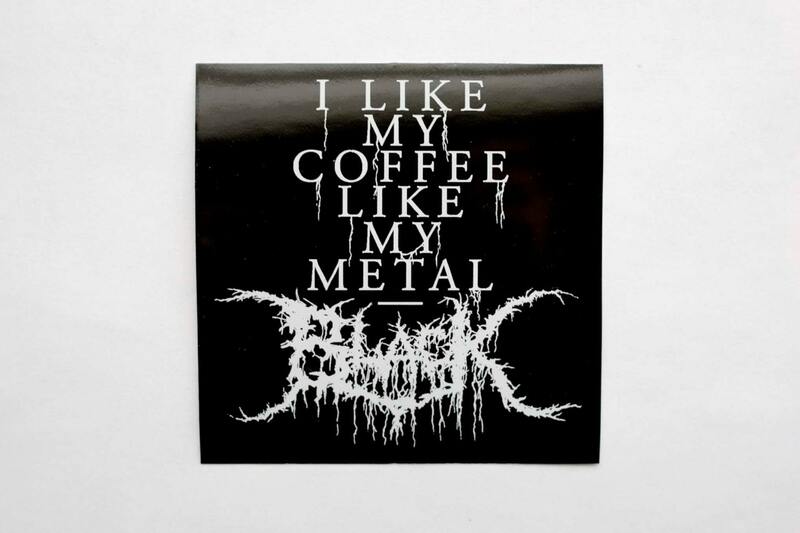 White in printed on black vinyl for extra darkness. 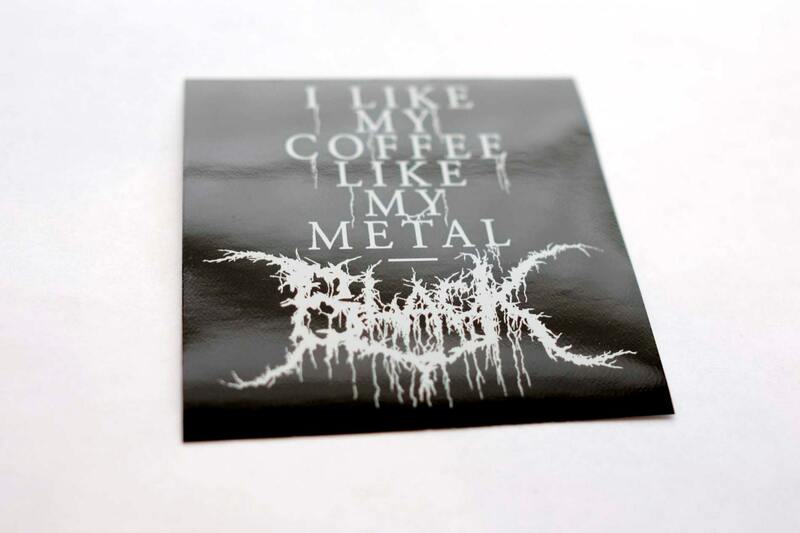 Because of the super-evil black vinyl, these stickers are weather proof so you can put them on your car or tag them around town to let the world know about the two loves of your life... COFFEE and METAL! I love these!!! Came with 5, I stuck one on my travel mug and another on my laptop! Perfect material. also shipped LITERALLY 20 mins after purchase! They also threw in a free “stay brutal” gold vinyl sticker & a Mötley Crüe card?! This shop is hands down awesome. Thank you! Love it! 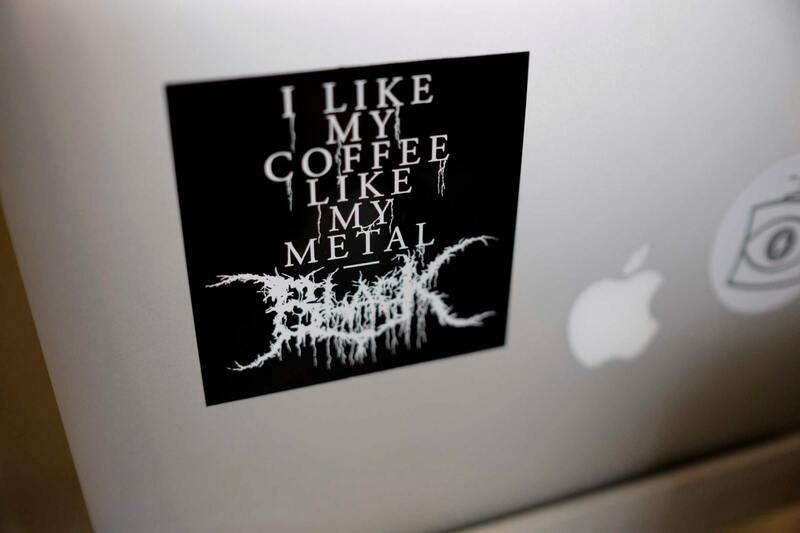 Absolutely diabolical Stay brutal! Thanks for reshipping! They're awesome.